I was introduced to Alannah and Besim by my good friend Justin over at Justin Ho Photography to photograph their Wedding Celebration at the beautiful Gleneagles Golf Course at Horseshoe Bay. Am I ever glad Justin hooked us up! Alannah and Besim were simply amazing with BC's natural backdrop of mountains, trees and water. We only had about 10 minutes for couples photos but their natural attraction to each other made them look and feel great in front of the camera. Here are some of my favorites from the day! What happens when you take 2 people in love on an afternoon hike on Vancouver's North Shore? Big smiles, burnt calories and a couple of mosquito bites. That didn't seem to bother Laura and Bobby as we hiked up the beautiful Quarry Rock Trail at Deep Cove. When Laura first told me about her plans for the engagement session, I was ecstatic to combine my passion for photography and my love for hiking. After stopping along the trail for some photos, we made our way to a Starbucks in Downtown Vancouver where Laura and Bobby first met. After hearing stories of their first encounter, we headed to English Bay to catch the sunset, and what a sunset it was. The sky was orange and the sun lit up the edge of the mountains we were hiking on just hours ago. We finished the evening with some very well deserved late night sushi. I cannot wait to photograph their Wedding this Summer. Here are some of my favorites from our session. The Blog is back for 2017! I'm so glad Wedding season is back in full swing. The weather is warmer, the days are longer and the couples I've met and shot engagement sessions for are all getting ready for their big day! 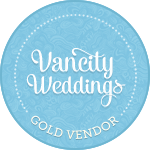 I met Natalie and Daniel last year summer at a Starbucks when they told me about their plans for a beautiful outdoor wedding at the Brock House at Jericho Beach. The day started with Natalie and Daniel getting ready at separate locations before coming together at Queen Elizabeth Park for the intimate First Look. The afternoon weather couldn't have been better with the beautiful blue sky providing the backdrop for a lovely outdoor ceremony at the Brock House. Lunch was followed by some lively and hilarious speeches before the wedding games started. It doesn't matter how many times I've seen it, the shoe game is the BEST wedding game. There's fun weddings, and then there's Evelyn and Bernad's fantastic Wedding celebration. The day began with overcast skies at the Hilton Metrotown, where both Evelyn and Bernad started their day before a beautiful ceremony at the Our Lady of Mercy Parish Catholic Church. After a short limo ride to North Vancouver, we arrived to sunny skies at the stunning Pinnacle Hotel at the Pier. The gorgeous venue was a perfect location for one of the most fun grand entrances I've been part of. The fantastic dance party that followed set the tone for the night, which was full of laughter thanks to some awesome speeches by the bridal party. Fun and games continued throughout the night before the dancing took over to cap off what was one of the most memorable weddings of 2016. Here are some of my favorites from the day. After being introduced by my past clients Stanley and Grace, boy am I ever glad I was able to be part of Gaby and Nic's big day! When we first met, Gaby mentioned she was going to have a BBQ smoker at her wedding and I'll admit, I was intrigued by the idea of BBQ at a wedding. However, it was what came after the main course that was the show stopper for me, pies, pies and even more pies! The day started out at Gaby's parents home in White Rock, where she and her girls had their hair and makeup done. We then moved to Saint Bernadette Parish Roman Catholic Church where they held a beautiful ceremony before making their way to the festivities at East Delta Hall in Nic's Fargo pickup truck. The lively bridal party delivered some great speeches before the amazing dinner and even more amazing dessert (did I mention pies?!?) Here are some of my favorites of the day. You look amazing. Let's chat over a coffee and see how we can make your ideas come to life.